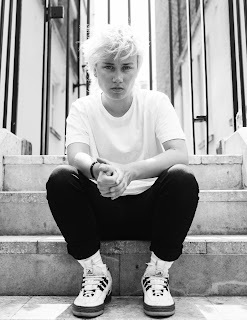 Background - Guildford-based starlet Annabel Allum shares explosive new cut Em(ily), her third offering from forthcoming EP Sorry I’m Not Perceptible out later this month. Providing her latest dose of folk-style storytelling crossed with snarling fuzzy indie licks, Allum’s enigmatic personality shines through once more alongside a series of scintillating hooks, creating further anticipation ahead of her appearance at BBC Radio 1’s Biggest Weekend on 26th May. “Em(ily) started off as a song of me taking the piss about how many times I go to my best mate asking for help / life advice / guidance”. Allum states, “I’ve wanted to write a song for her for a very long time, eventually this came out and I’m actually really proud of it. I was able to get really experimental with this one, trying things I normally don’t get to”. 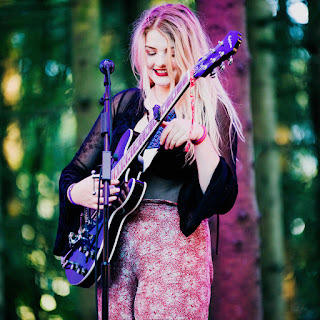 Building on this buzz, Annabel has performed a number of prestigious slots in the last twelve months, culminating in supporting the iconic Beth Ditto across her UK/EU tour at the back end of 2017, as well as sharing the stage with Nadine Shah, Blaenavon and more. Sets at The Great Escape, Live at Leeds and SXSW last year brought her to wider international attention, whilst a fiery performance at her biggest headline show to date at London’s Camden Assembly earlier this year signalled a real statement of intent. Alongside the striking sonic aesthetic of her music, her original look and self-styling has led to endorsements from Bastian Classics, Cheap Monday and various other indie clothing brands. Liam Corneloues on bass and Emma Hiley on drums complete Annabel’s trusty band, prepped to deliver raucous sets throughout the festival circuit in the UK and Europe this summer. Em(ily) was produced by Adrian Hall (Goldfrapp, Du Blonde, Anna Calvi) and is being released by London indie label Killing Moon Records on 15th May. WEBSITE. 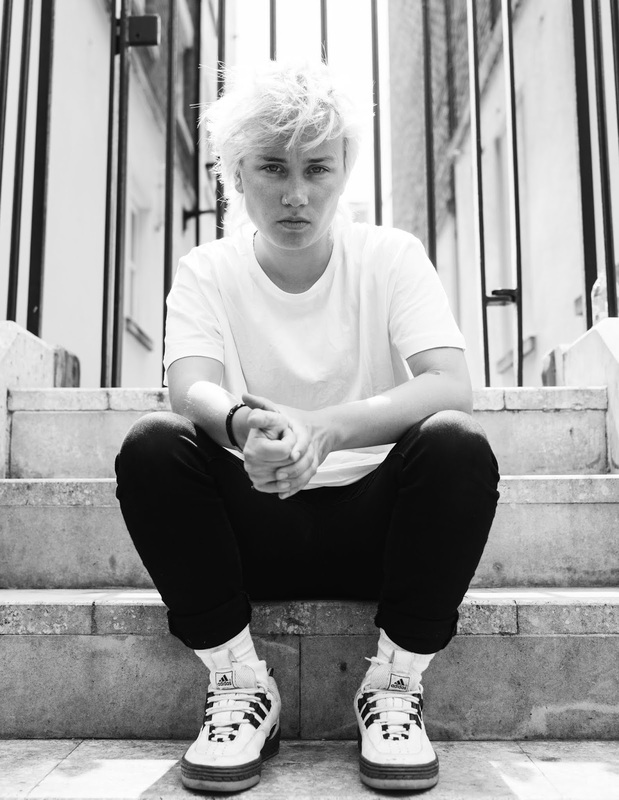 Our third feature for Annabel Allum this year with the latest single 'Em(ily)'. 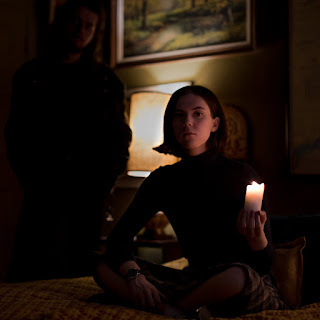 Once again she continues to impress us with her enticing and emotive vocals, accompanied by a solid indie rock backdrop, this one is very catchy. Background - With just one month to Kluster’s debut LP civic we have Afterglow, the third single from the LP. Kluster was founded by four friends and a virtual drummer in Malmö 2014, a real life drummer joined in shortly afterwards and the gang was complete. 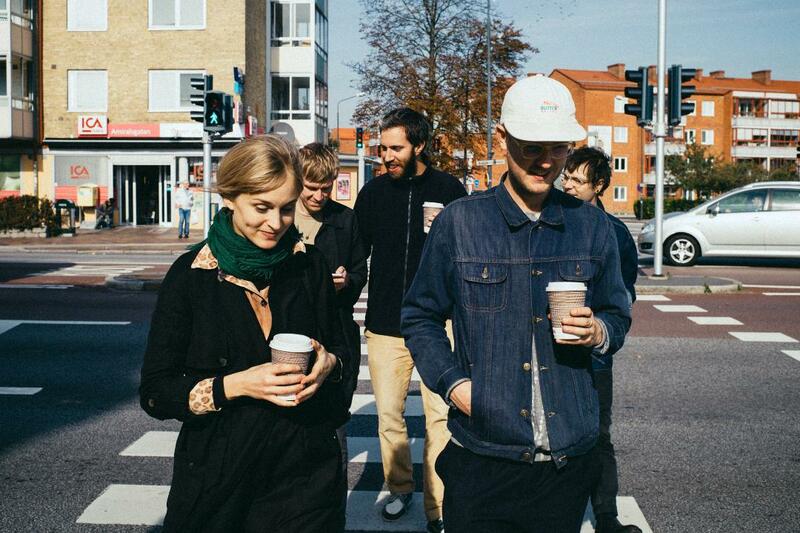 Since, the quintet has been active on as well the Malmö indie scene as playing shows in Berlin, Copenhagen, Stockholm, supporting acts such as Frankie Cosmos and Nicole Sabouné. Singles Over My Head and In Your Hometown have been featured in Line of Best Fit, Spotify's Fresh Finds, Swedish national radio P3 and more. Today, yet another piece from debut album civic is released, the stunning Afterglow. Afterglow is another glimpse of Kluster's playful sound - a melting pot of broad influences such as pop, punk, noise, lo-fi, indie and jazz. The members have a history as academic jazz players, forming Kluster after longing for a collective process free from strict genre playbooks and narrow-minded academic rules. A process that resulted in Kluster's captivating characteristic dynamic and turning points, alternating from melodious to dissonance, complex to simple. Debut album civic is out on June 15th via Stockholm indie label Rama Lama Records (Steve Buscemi's Dreamy Eyes, Delsbo Beach Club, Melby etc.) which also is the labels first full-length release. 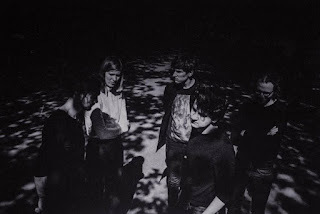 The LP was recorded at Malmö's famous Tambourine Studios and is a elegant showcase of the quintet's exciting ability to blend experimental and accessible in their very own way. To put it in Kluster's own words, "civic is a look into the everyday ordinary, the changeable and the constant" with eleven songs treating "situations, emotions and people in our mind at the time, consciously or not". TWITTER. 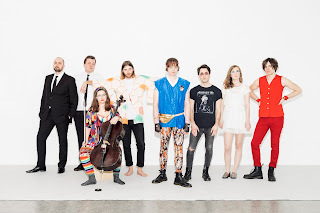 We featured Kluster for the first time just three weeks back, and the new song 'Afterglow' suggests we should be even more excited about the forthcoming album. 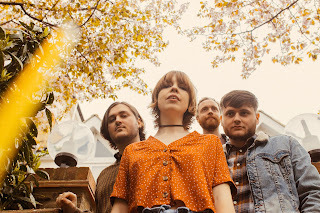 Last time we described their music as "Indie Anything" as we struggled to put their music into any one category, it's no easier this time, but the music is gorgeous, that much I am certain of. 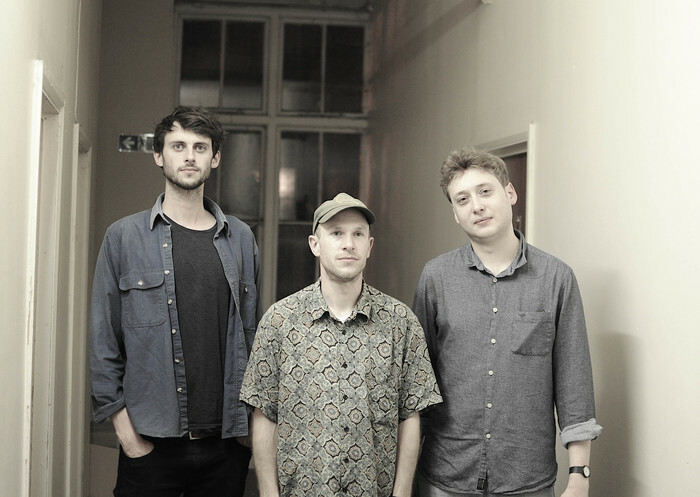 Background - Jessica’s Brother is the eponymous debut album from London trio Jessica’s Brother, comprised of songwriter Tom Charleston, Jonny Helm (drums, also of The Wave Pictures) and Charlie Higgs (bass, previously of Ramshackle Union Band). Channelling the spirit of the Brothers Grimm to create an otherworldly atmosphere, they weave their motley influences together making a rich and eclectic vision, with nods to Silver Jews, Jason Molina, Nick Cave, Richard Thompson and Neil Young. There are themes of joy, anger and silliness in a carefully crafted world with a colourful cast of characters. The new single "Humdinger" is a languid indie folk track, recalling their heroes, Silver Jews. As Charleston explains, it is: "perhaps the one song on the album where the narrator is at ease with himself and the world. Though there are moments where this tranquillity is nudged by outside tremors, so we know this moment is ephemeral." Jessica's Brother formed in October 2016. Jonny and Charlie worked together in a framing business and had often talked about collaborating in a band together. Fate intervened when Jonny’s girlfriend Jessica introduced him to her brother Tom, and they found a songwriter in waiting. 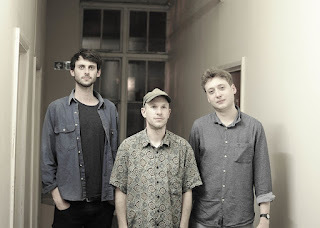 The trio clicked immediately and just nine months later they recorded the album with Laurie Sherman at The Booze Cube in Stoke Newington, with input from Darren Hayman. A few other friends joined them in the studio, including Dan Mayfield (Enderby’s Room), who added a dose of Bad Seeds/Dirty Three vibes on the violin and Paul Rains (Allo Darlin’/Tigercats) lent a hint of country twang on guitar and slide guitar. With Jessica’s Brother, we see Tom Charleston’s songwriting blossoming in to a tour de force. Influenced more by poets than other musicians, he cites John Ashbery, T.S. Eliot and Philip Larkin as inspirations. He is drawn to how they can be irreverent, unassuming and playful, as he explains; “I suppose I wanted to offer something lyrically engaging and hopefully different.” His modestly lofty ambitions have paid off, with ten startling individual vignettes telling their own stories from a variety of narrator’s points of view. FACEBOOK. 'Humdinger' is a refined indie folk song, the vocals are distinct and melodic, the music calm and assured, and the chorus packs some subtle hooks that make this one, a must share!